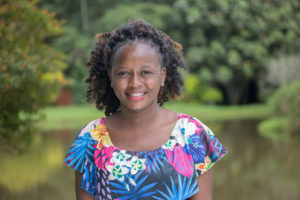 Malath Ochieng is a Program Officer at TRACE Kenya, an organisation that combats human trafficking, counter trafficking, smuggling, and other migration related issues. Her passion is to make a change in the lives of young children and youths who are most vulnerable to the false promises of traffickers. Her work involves offering victims of human trafficking advice on some of legal options available to the parents and guardians of minors as well as offices to approach for help. Malath holds an undergraduate degree in Sociology and Economics from the University of Nairobi. Video not available at this time. Check back later.